Those bemoaning the absence of musical theatre songs from the pop charts haven’t been paying close attention. 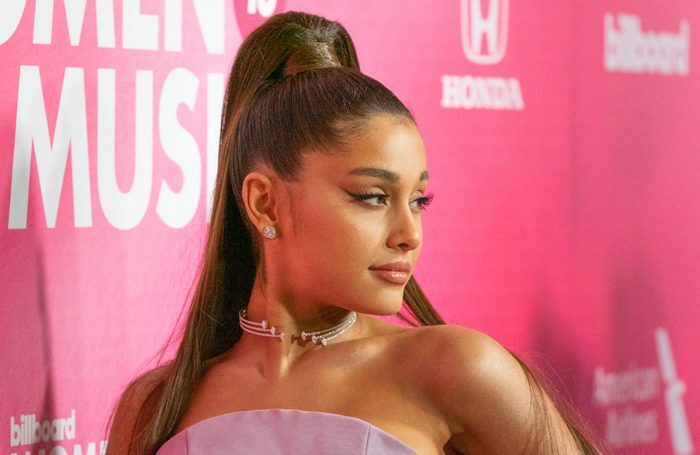 A New York Times article this week, primarily focused on the financial negotiations over its royalties, pointed out that Ariana Grande’s hit song 7 Rings is rooted in Rodgers and Hammerstein’s My Favourite Things from The Sound of Music. The source material is unmistakable to anyone listening to the track who is familiar with the show. The song isn’t the first time that The Sound of Music made it to the pop charts in recent years: Gwen Stefani’s Wind It Up drew on The Lonely Goatherd in 2006. Stefani previously had a hit in 2004 with Rich Girl, a variant of Fiddler on the Roof’s If I Were a Rich Man by Jerry Bock and Sheldon Harnick. And Stefani’s version was a variant of the debut single of the same name by Louchie Lou and Michie One. Looking for more evidence? Hey Big Spender from Sweet Charity was used as the refrain of Big Spender, a 2007 track by rapper Freeway featuring Jay-Z. The latter artist had drawn from, of all shows, Annie, for his Hard Knock Life (Ghetto Anthem) in 1998. Granted, these are a handful of examples across many years and the vast number of songs recorded annually. But the prominence of the performers involved speaks to a not-so-latent appreciation by today’s artists for musical theatre. Grande has genuine Broadway roots, having appeared in Jason Robert Brown’s musical 13 when she was still a teen, and she subsequently collaborated with Brown on Jason’s Song (Give It Away). Die-hard musical theatre fans argue, at their peril, that rap in musical theatre actually predated rap music itself, citing several songs from Meredith Willson’s The Music Man as evidence. The rhythmic inventiveness of the show’s opening number, Rock Island, and the word-spinning You Got Trouble are the evidence offered. Credence was given to the theory when rappers TI and LL Cool J performed the former song in full rap style at the 2013 Tony Awards. While it’s fun to imagine Tin Pan Alley-era song pluggers showcasing the newest musical theatre songs for rap and hip-hop impresarios, that is nothing but a pipe dream. What these crossover tracks show, however, is that exposure to musical theatre can clearly have an influence on successive generations of musical artists. After all, it’s highly unlikely that any of these composers and performers happened upon this music as adults and instantly saw the opportunity to repurpose it for a new era. Instead, the lyrics and melodies had almost certainly insinuated themselves into consciousnesses of Stefani, Jay-Z and LL Cool J when they were young, re-emerging after the performers had synthesised all they had heard over many years into their own distinctive voices. The resulting tracks are arguments for the ongoing relevance of musical theatre and the ongoing need for young people’s exposure to the form, on stage, in film and television versions, and on cast recordings. Who knows how today’s theatre songs will resurface in another 20 or 30 years, reinvented and renewed by today’s drama-kids-turned-pop-stars. The National Theatre’s production of Stefano Massini’s The Lehman Trilogy makes its US debut at Park Avenue Armory on Wednesday, with its original UK acting triumvirate of Simon Russell Beale, Adam Godley and Ben Miles intact under Sam Mendes’ direction. It plays a very limited run, until April 20. Jordan E Cooper is both the author and a cast member of Ain’t No Mo’, also debuting on Wednesday at the Public Theater. Stevie Walker-Webb directs the world premiere of what is described as “a vibrant satirical odyssey portraying the great exodus of black Americans out of a country plagued with injustice”.